Miniatures and minis projects will be our main focus here. Thanks Roe! I recently sold this conversion on eBay because I wanted to try and do a more modern job of her. 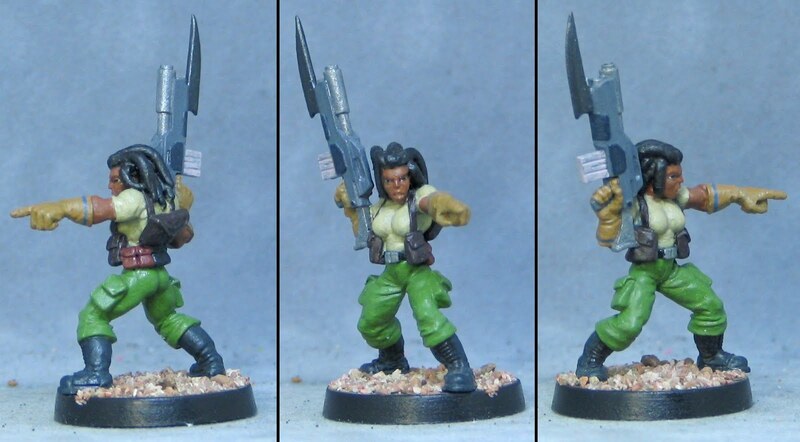 She was a sci-fi RPG character named Sewta Narrapan and one of my most favorite conversions of all time. 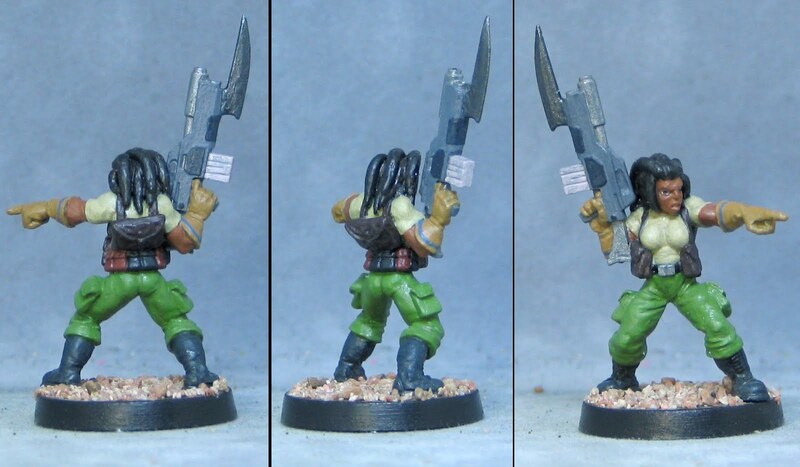 This is one of the Void Viridian Marine Sergeant sculpts by Kev White from around 1999-2000 (?). I added the dreadlocks with putty. 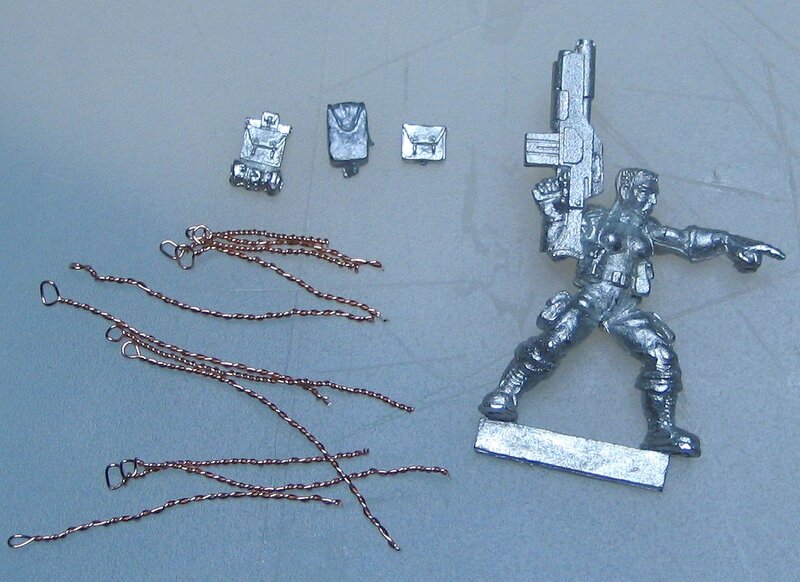 The backpack was off a plastic soldier sprue and the bayonet was a Dark Eldar plastic bit. Time has marched on and it's ten (TEN!?!?!) years since I came up with her. Not to toot my own horn, but I think my conversion skills (not to mention my painting skills) have progressed significantly since then. So I challenge myself to update her with modern technology, knowledge and methods. Here we have most of the bits that I'll be using for the modernized Sewta. Several lengths of wire that I've twirled together for the dreadlocks, an assortment of metal packs to choose from (feel free to vote for which pack you think would be best) and of course the base figure herself. I'll update as this project progresses.